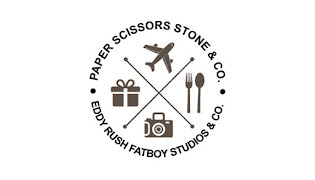 Eddy Rush Fatboys Production Had a chance to Made another trip to Bangkok and hua hin on 23th AUG - 27th AUG , Ticket booked end of last year with the price RM248 and waited for almost eight month to fly . 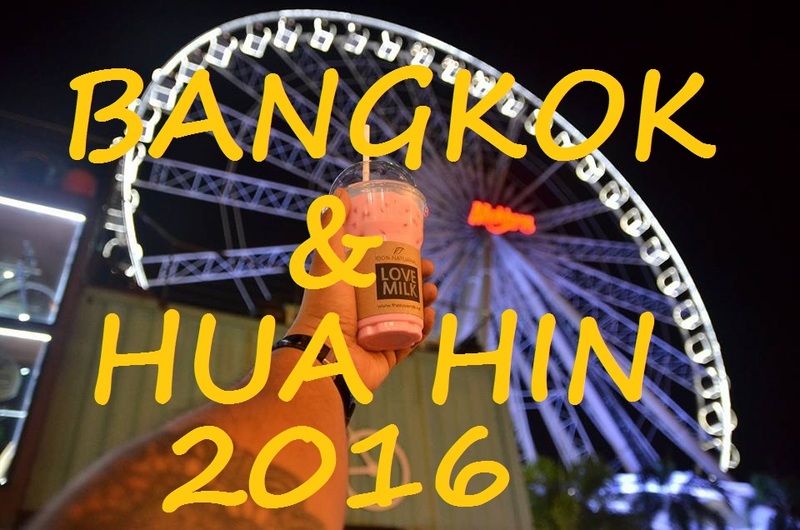 This was my Second time visit Bangkok and first visit on Hua Hin , As I came for Bangkok - Pattaya at 2014 . We will stay for 5 day 4 night on this trip and It was my 7th time been in Thailand . The gang that going with me this time was the gang that we went Cambodia together last year . Take off from KLIA2 at 10.40 a.m and Reach Don Mueang International Airport At 11.30Pm ( Thailand local Time -1 hour ) mean malaysia time 12.30 p.m . it's take 2 hours flight . After Touch down to the ground , we need to walk a short runway to entered the building for luggage pick up and passport examination . I get myself internet data from True Mobile company that located at the passpost check Exit , there was few more mobile company to be choose too . the lower is 200 baht for internet data only or 299 baht comes with internet data and calling usage . Walk out from the airport main entrance Turn right go straight till end of the airport building then there was a bus stand beside Family mart . From there You can take Bus no. A2 , 29 , 59 and 510 or Take a cab for 160 Baht to Victory Monument , Stop or walk to Century Plaza . From the ticket counter here , You can buy Van ticket to all outstation in Thailand . Get your Hua hin Van ticket here for 180Baht per person and they will charge another 180baht as one pax for the luggage at the first counter when you walk in . The drive takes about 2½ or 3 hours to reach Soi 57 Hua hin . We was unlucky because we get a van that uncomfortable with poor air conditioner and noisy driveshaft . We either sleep , reading some book or enjoy the scenery along the way . 5PM - CHECK IN Great choice and Highly Recommended for this hotel , 3 minute walk to public transportation drop from Bangkok from The property . Location is perfect because it's near city center , eateries , night market , and the beach . Staffs were very helpful and The room is clean and spacious . It cost RM110 for one room with Queen size bed . 6PM - After the refreshment bath , we walk to the street and just tooks five minute walk from our hotel to this chao Lay Seafood . one of the large famous seafood restaurants in downtown Hua Hin . We are unlucky to sit at the pier beacuse of the heavy rain . 7.30PM - we get a cab to Plearnwan for 100 baht . Plearnwan is popular with local and tourists since entrance is free , It was a great place that worthy to come and walk walk around . 9PM - We settle down our last stop at Hua Hin Night Market , Shopping and food hunting is a must at this night market , Reasonable price For seafood too but we didn't manage to eat the big lobters since there was alot street food that need to be in our stomach . We was mouth watering when we saw they grill the lobster with the special sauce . OMG!! 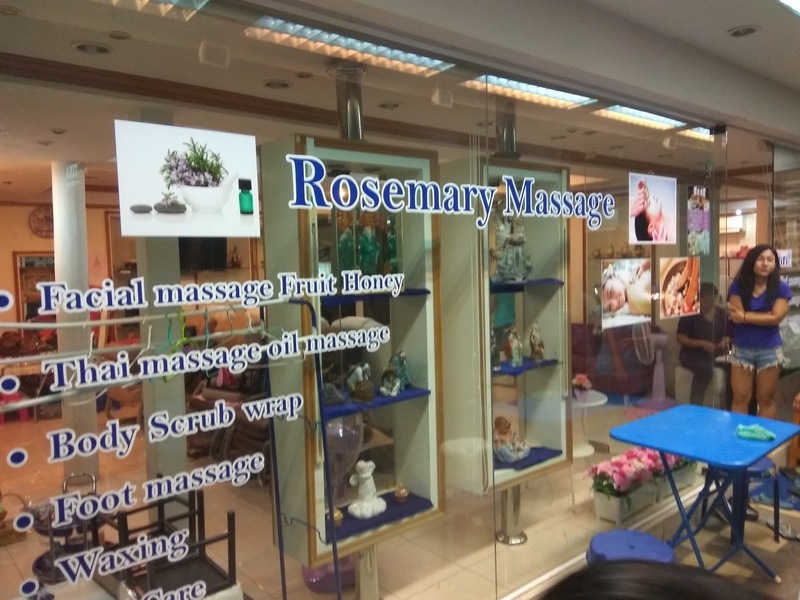 Traveling whole day was tiring for us , We settle down our foot massage at rosemary massage that located just next few door from our hotel . good service and friendly staff . 9PM - Before visiting the Hua Hin railway station , the most important thing was to find a restaurant right in the town for breakfast . This Koti Restaurant was recommended by our local Tuk tuk driver . this is the oldest restaurant in Hua Hin . Must try CP Le Pan Bananas when you are in bangkok , get them at every 7-11 store in thailand . 10PM - First stop at the nearest tourist attraction spot from the town , we went for take some memorable photo and the entrance fee is free but I'm unlucky not get to see the train passby . 11PM - Reach The Venezia , Feel disappointed with the place . The park is almost empty & most of the shops are closed . Weather was hot during the day . They are charging admission to enter an empty mall with some paintings on walls and few children's rides . 12.30PM - 20 Minute drive from The Venezia to Santorini Park , Entrance fee is 150 baht per person , A handful of good photography spots . we felt like we were in Santorini because the design and color look alike to the real santorini in Greece . 2PM - On the way back to our hotel , we leave our luggage at hotel and check out ealier to complete our place hopping on the morning . 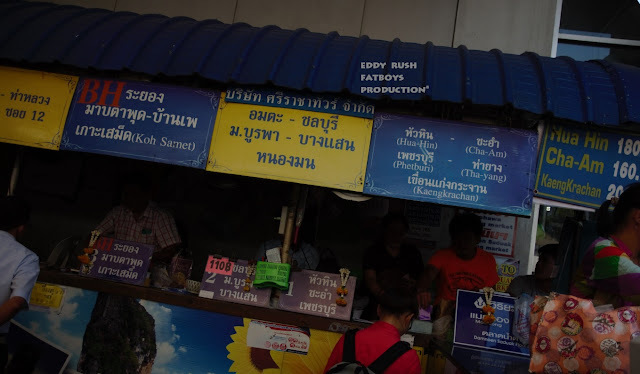 2.25PM - Bought van ticket back to Bangkok at mini bus station , the ticket price is for 180Baht per person and they will charge another 180baht as one pax for the luggage , same package price as on the first day we bought . We get on for 2.45pm ride and expected to reach bangkok at 5.30pm . The van service will move from hua hin to bangkok for every 45 minute . 6PM - Reached Century Mall drop in Bangkok , once we walk down the street and pulling the luggage , we all fell damm hungry . From Century mall need 20 minute walk to reach Gateway Hotel , while walking we saw this lady selling local foods that prepared nicely and can be eat on the spot . what can I say is the food are damm awesome and really cheap . 6.30PM - After the 20 minute walk , we feel that the walk is kinda too far with puling the luggage going trought to those stranger roads that feel unsafe . But we safely reach at our hotel and doing check in , Gateway Hotel is one of the best picked in bangkok . Charges of Gateway hotel was cheap that cost RM120 per night only and really convenient for us to shop and eat around Platunam area . Few walk step to Platunam Night market . walking distance to all the famous mall in bangkok : Platinum , Central World , Big C , Siam Paragon , Siam Center and MBK . 8PM - Since everyone kinda tired , we walk to nearest night market , Pratunam night market , thought of have a look at Platinum mall but seem closing because it was 9PM already and there have a row of night market so we enjoy walking till end of the vendor . 11PM - It was heavy rain at Bangkok on the night when wanted to back hotel and unavailable to walk back from BIG C , so we hired Tuk Tuk that stand at one of the corner in BIG C , All the Tuk Tuk driver like an F1 driver that drove so dangerously . 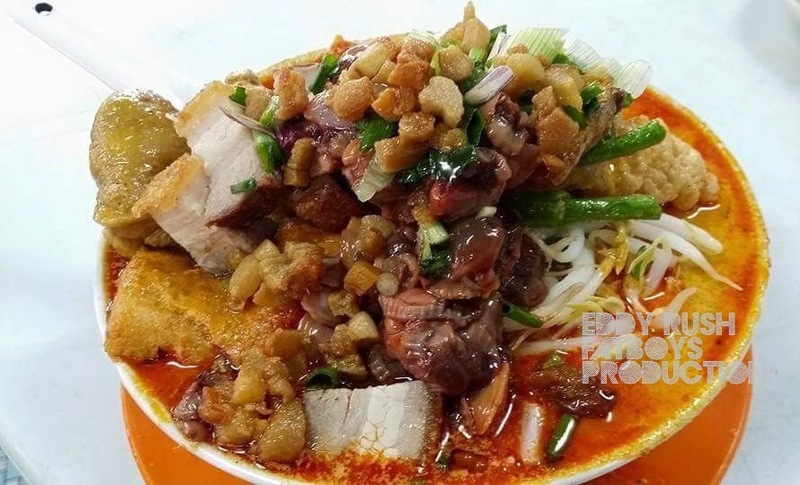 11AM - we went to this famous wanton mee shop located at Phetchburi Soi 19 , is about a 10 minute walk from our hotel . The wanton mee so so only but must try out their The pig trotter , it was awesome companion with rice . 12PM - After the brunch we walk to PlatiNum Fashion mall then to Big C then to Central World , Siam Paragon , Siam Discovery , Siam Square and MBK Center . all these shopping center can reach by walking distance . Shop Till drop and Walk till pain . 2PM - Walking trough the few mall stomach gets slightly Hungry and thirsty , we sat down at Greyhound cafe in Siam Center to have some snack and drinks while chatting around for an hour before we move on . Walking trough all this mall is safety because there have walking pedestrian bridge all over the mall , most of the walking pedestrian bridge was covered by roof . 3PM - Time for tea break and can be a dessert break too , after walk Around MBK Center and we will walk back where we start this morning . While we at Siam Paragon we crawing for "after you dessert" and it was actually planned in our itinerary , Since we are here , why not? The Thai Samurai Pork Burger , Been eating Samurai Pork Burger for more than ten times , can say is nothing special but since at thailand no doubt to have it again and again Because we can't get to eat at malaysia . While waitting my friend coming for dinner gathering , there was a muay thai tranning ground Beside Mangkron Seafood . The Kids was started to learn when they are young , This kids gonna be a great fighter in the future since I'm a fan of Buakaw Banchamek . 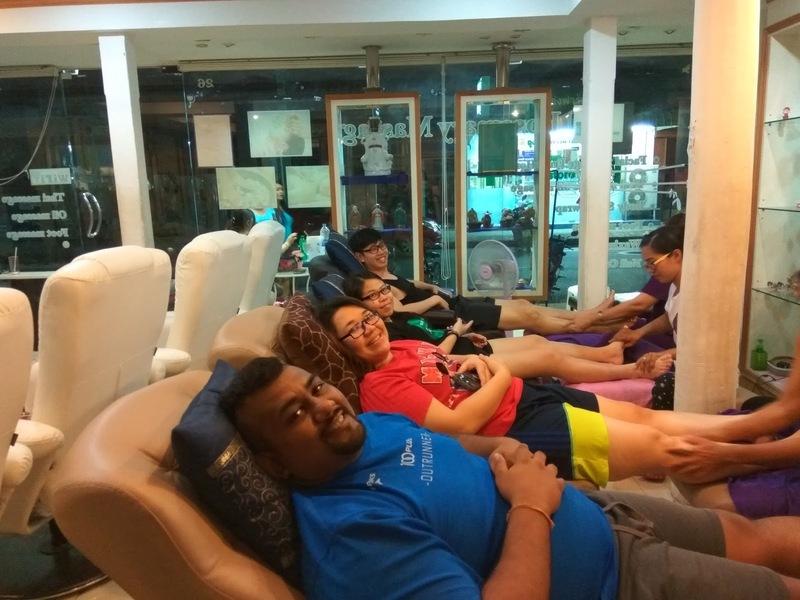 7PM - We get a taxi ride from our hotel to Mangkron Seafood that is located at Din Daeng area , Their bbq seafood buffet only costs 399 baht(RM48) per person for 90 minutes dining time . If you want to be here from bangkok I advice Taking by Taxi , and not all the taxi driver knows this place even though it is popular . If can lead them with your phone GPS . 12PM - Since it was Free and easy , We slept kinda late . Catch a cab Infront of our Hotel and went to Pee Aor Tom Yum Goong for their Lobster maniac noodle as our brunch . This hiddem gem restaurant claims their the best Tom Yum Goong in bangkok . 2PM - Catch a cab from Pee Aor Tom yum goong and it takes 35 minute to reach , Wat Pho was sinful and peaceful place that worth to visit with 100Baht(RM12) entrance Frees per person . For ladies , Please wear Long pant or rent a scaft there , It was paying respect the place purpose . We was to cross the Chao Phraya river to visit Wat Arun from Tha Tien pier to Khun Mae Pueak pier , there are ferries which cost 3 baht , available at several boat landings . 4PM - At the moment they're renovating the buildings and it's scaffolded over so it's not worth going there as the scaffolding ruin the beauty of it . Took the boat ride back to Tha Tien tier and take another boat for river cruise straight to Asiatique tier and have the night there , It was a great experience . 7PM - We reach Asiatique on the evening . There were a number of DIY shops and those with the usual staples and goods . Other than the Ferris wheel and the theatre . There are a huge variety of food options which let us enjoy the evening breeze . However , we decided that dinner to have it here . Vitamilk is very thirst quenching beverage , with a creamy sweet taste. It has been Thailand's favorite soymilk for almost 50 years . Nice creamy Thai Tea . Last day in bangkok , we check out from hotel and hired a cab to this Neverland Siberians cafe before heading to airport for the flight back to malaysia . Had great fun afternoon here with the huskies . 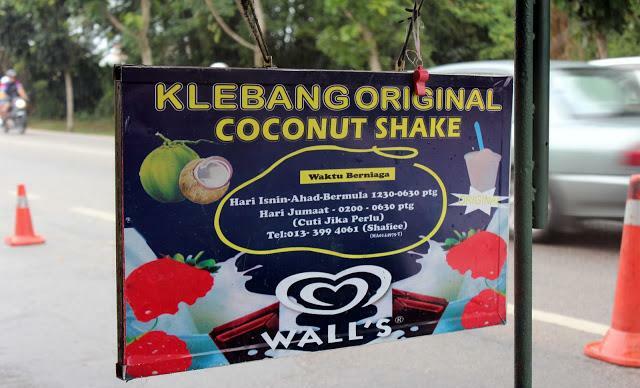 wah, i am thinking to go there! thanks for your post update (pinjam a while, i share in my FNB. it is definitely good enough for my future reference! wah wah nice trip! n u get cheap ticket ! I didn't try out the Le Pan Banana when I was there and it looks like Tokyo Banana! What a memorable trip you had, although it was a little packed. As a fellow dog lover, I wouldn't want to miss the huskies cafe. 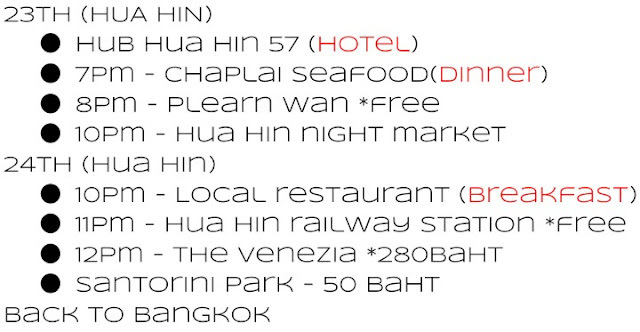 I have been to Bangkok before but haven't visit Hua Hin yet. Thanks for sharing your details itinerary. i like the shape and look of the banana. looks absolutely delicious! 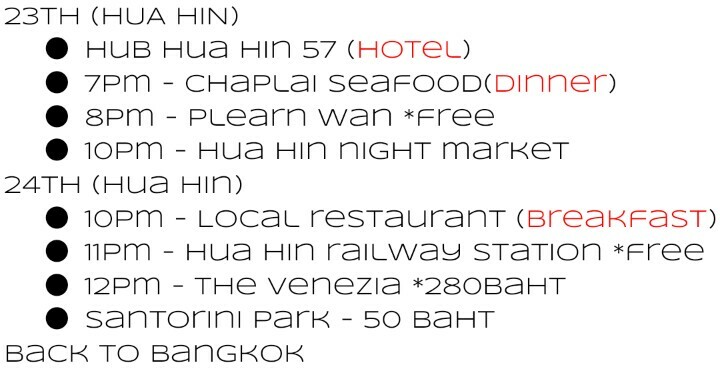 i have been Bangkok before but havent visit Hua Hin yet ! The place looks very nice !! Tomyum is my favourite! So detailed! Will definitely read this article again before I visit that place! Haven't been there before. The food looks amazing especially the prawns! I miss BKK again!! Love the food and shopping photo XD look hilarious!! I love visiting Bangkok - you will find surprises at every turn! Love Love Love the night markets in particular - huge and clean!